Keep your device software up-to-date. 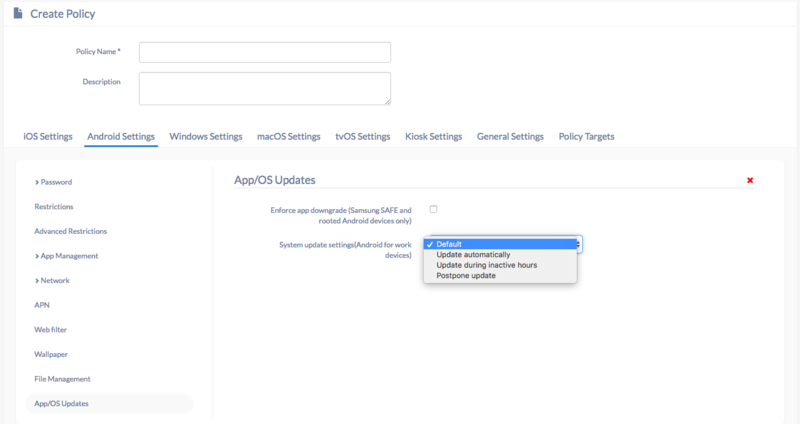 With Hexnode MDM, you can set system app update preferences for your Android for Work enabled devices. You can turn on automatic updates, so you never have to think about updating again. You can choose to update the app during inactive hours or even postpone an app update. Navigate to Policies > New Policy > Android Settings > App/OS updates. Select your app update option from the drop-down list and click Save. Associate the policy to target devices.